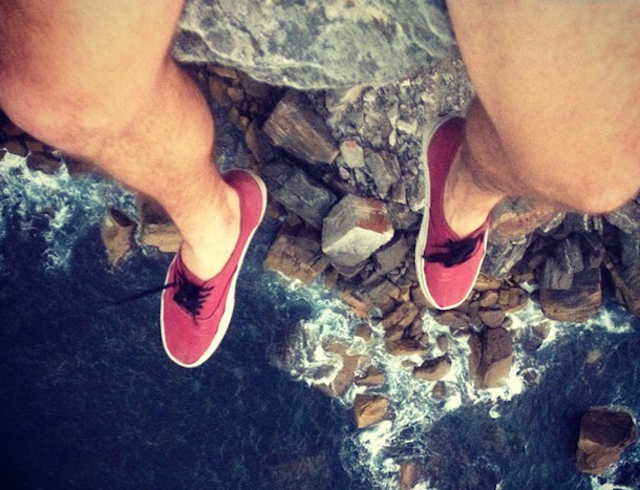 This is one of the last pictures of Gareth Jones, a selfie of his legs dangling off a cliff from a few hundred feet up. A few days later Gareth would be involved in an accident at this very spot and fall 300 feet to his death. Gareth’s Instagram feed shows he was a guy full of adventure and enjoyed extreme sports including base jumping. Unfortunately this lifestyle would ultimately lead to his death. Gareth was reportedly seeking a better view of the sunrise when the accident occurred. This wasn’t your typical photographer losing his footing, Gareth was a professional base jumper who had performed dozens of amazing stunts in the past. 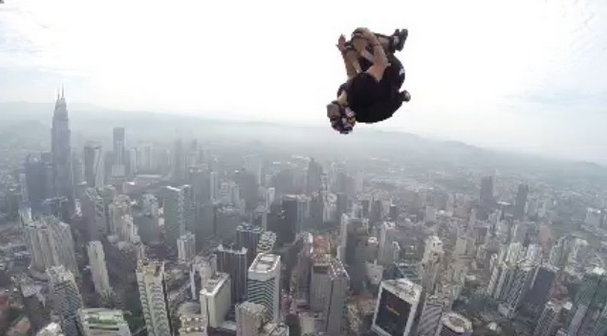 Recently he launched himself with nothing but a parachute from the top of the Menara Tower in Kuala Lumpur. Gareth Jones was a professional basejumper, and a natural thrill-seeker. While the issues and dangers that selfies pose on the mind and body are important, they’re not always measurable in all people. The actual deaths of people in the name of the awesome and enviable self portrait are quantitative. Here are just some of the tragic cases of deaths linked directly to selfies. A 32-year-old woman in North Carolina was killed in a head-on crash with a truck. Investigators were told by her friends and family that she made a Facebook post in the moments before the crash. The woman posted a photo of herself, behind the wheel, reacting to the song “Happy” by Pharrell. A month short of her 18th birthday, a teen fell off a railway bridge and was electrocuted by 1,500 volts as she tried to grab wires to break her fall. It’s believed the teen climbed the 30 feet onto the bridge to take a selfie. Two men were trampled to death by an elephant in the Kiptagich Forest in Africa. The men were touching the elephants trunk and attempting to take selfies when the beast whipped the two to the ground and trampled over them to flee. The elephant was gunned down by Kenya Wildlife Service and Kenya Forest Service rangers in an attempt to save the men. A Polish nursing student fell to her death while trying to take a selfie from the ledge of the Puente de Triana Bridge in Seville, Spain. According to witnesses, the woman lost her footing and fell 15 feet down to the concrete. A 16-year-old Italian high school student attempted a selfie during a school trip in southeastern Italy. The young girl fell 60 feet onto jagged rocks and suffered injuries to her femur, pelvis and head. The teen was rushed to the hospital where doctors attempted to save her but she eventually succumb to her injuries. A 21-year-old man from northern Mexico wanted a selfie for his Facebook page and used his live firearm as a prop in the picture. The gun discharged and shot him in the head. A 13-year-old girl was visiting the El Tunal River in Mexico this past summer. She slipped and fell into the water while taking a selfie and the strong currents swept her away. She drowned and her body was recovered some time after the accident. A family vacation in Cabo da Raca, Portugal turned tragic after a mother and father fell to their death while posing beyond a safety barrier over a cliff. Their two young children watched as the couple plummeted to their death. A man climbed to the top of the train in Andujar, Andalusia, Spain to try to take a selfie. Unfortunately, during his selfie attempt, he touched a live wire and suffered a 3,500 volt shockwhich proved to be fatal. We certainly don’t condone any type of dangerous activities to get the perfect selfie and at the same time we wouldn’t prevent anybody from pushing the boundaries of photographic genres, even the narcissistic selfie! But please, if you are someone who likes to take risks, please be careful and think of Gareth Jones, and what happened to an experienced professional before you do. h/t Chris Illuminati of BroBible. Previous Article Microwaved Polaroids, Because Why Not? Next Article Prince Harry Takes Three Photos of People in Lesotho; World Goes Nuts.